If you think being self-employed will limit your ability to get a mortgage, you’re wrong. Qualifying guidelines are the same for anyone applying for a mortgage whether they receive a W-2 every year or they’re self-employed. Documenting the amount of income earned as an employee requires two primary sources: two consecutive years of W-2’s and the most recent full month of paystubs. Self-employed also need to provide documents showing income over the last two years, as well as current income. It just takes more paper to accomplish this than W-2’s and paystubs. Self-employed borrowers must submit tax returns to qualify for a mortgage. The actual returns needed depends on the IRS business format you use, either a sole proprietor, a partnership, an LLC, or a corporation. Be prepared to provide the last two years of your tax returns, as well as documents that are the self-employed’s equivalent to a paystub: a year-to-date Profit + Loss statement and Balance Sheet. The term ‘year-to-date’ (YTD) refers to the beginning of the calendar year that follows your last filed tax return, up to the end of the month before your application. For example, if you apply for a loan in July, your YTD forms will cover January 1 to June 30 of the current year. They must be signed by the person that prepared them, which can be you. You don’t need an accountant or bookkeeper to prepare these forms. 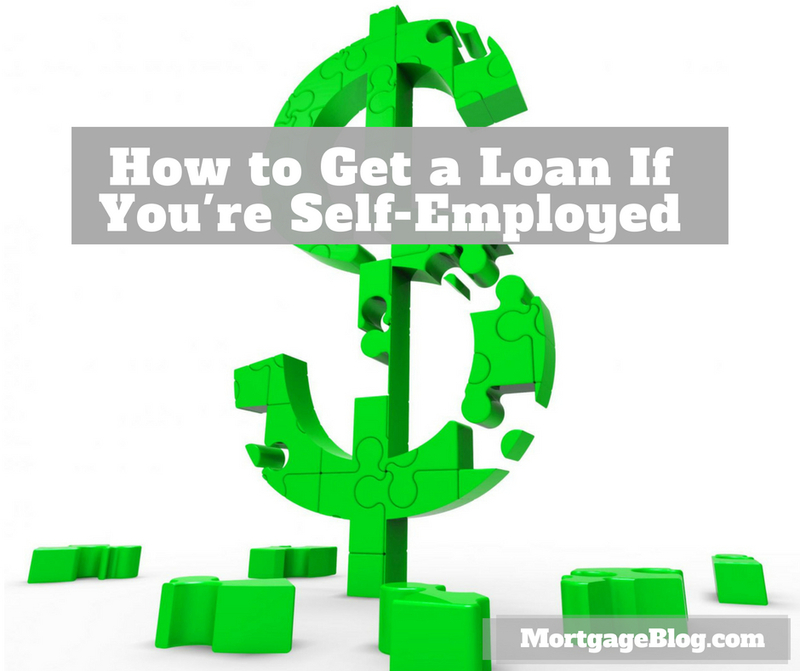 The calculation to determine qualifying income is also different for self-employed borrowers. Using the tax returns, YTD Profit + Loss statements, and YTD Balance Sheets, underwriters average two years of revenue minus expenses and add back any non-cash expenses like depreciation, to calculate monthly income. For example, take a look at the calculation for a sole proprietor filing a Schedule C with their personal (1040) tax returns for 2016 and 2017. The total income (before expenses) is $285,000 each year. In 2016, they deduct $84,000 in expenses, including $8,400 in depreciation. In 2017, they deduct $102,000 in expenses, including $8,150 in depreciation. Based on these figures, the net income calculation for 2016 is: $285,000 minus $84,000 in expenses = $201,000, plus depreciation of $8,400 = $209,400 in net income for the year. For 2017, business income of $285,000 minus $102,000 in expenses = $183,000 plus $8,150 in depreciation = $191,150 net income. In order to calculate the monthly qualifying income, $209,400 (2016) is added to $191,150 (2017) = $400,550 total net income, which is averaged for 24 months = $16,689.58/month. Using a maximum debt-to-income of 43% allows this self-employed borrower to have a full mortgage payment plus all other monthly revolving and installment debt equal to $7,176.52. But what if this same business owner added another $50-75,000 in expenses for these tax years? High annual business expenses can make it difficult for self-employed business owners to qualify for the mortgage they want. One of the perks of owning your own business is the ability to reduce your tax liability by capturing expenses and deducting them from gross income. Let’s face it – lower taxes is a goal most individuals aspire to every tax year. Unfortunately, what you tell the IRS is also what you’re telling a mortgage underwriter. A lower average monthly income reduces the loan amount you can qualify for, and the price range of the home you can buy. Regardless of how you earn a living, there’s more to income qualifying than numbers. Lenders try to assess whether you’ll continue to make the same, or more, income into the future. Requiring two years of your income history, with either W-2’s or business tax returns is one way they address this. They also look at what you do for a living to see if you’re new to your industry/specialty or experienced. If you’re new to an industry, there’s more risk that you will maintain or grow your income. Maintaining, or growing, your income is essential when qualifying for a loan and can create a hurdle for self-employed borrowers. Fluctuations in gross income or expenses are a red flag for underwriters. With red flags come questions and requests for more documents. If this is a regular part of your industry, write a simple, straightforward letter of explanation covering the details. You can also offer an additional years’ tax return to support your statement. However, fluctuations due to something bad happening in your business are called declining income. Declining business income can cause a loan request to be denied. While every company is unique, you should know that if you experienced a drop in business income, it would be difficult to get approved. The only possible solution is your ability to document your recovery with your YTD Profit + Loss and Balance Sheet, along with a letter of explanation. Showing YTD is increasing sales, or steps you’ve taken to reduce business expenses permanently might convince the underwriter that the risk is gone. If a one-time increase in expenses caused the declining income, the underwriter would want the details of what caused the increase. Proactively submitting supporting documentation, along with a letter explaining what occurred, will go a long way to resolving the situation. A one-time windfall in your business won’t boost your qualifying income either unless you can document it’s from revenue that fits into your regular business. Expect the underwriter to deduct any unique, non-repeatable income when calculating your qualifying income. Qualifying income is the key to getting a mortgage, whether you’re an employee or self-employed. While the rules are the same, the documentation is different if you’re self-employed. Ultimately, how self-employed borrowers deduct business expenses, along with the ongoing health of their business, that can present hurdles to qualifying. Take the time to discuss your situation with a lender before you apply for a loan.